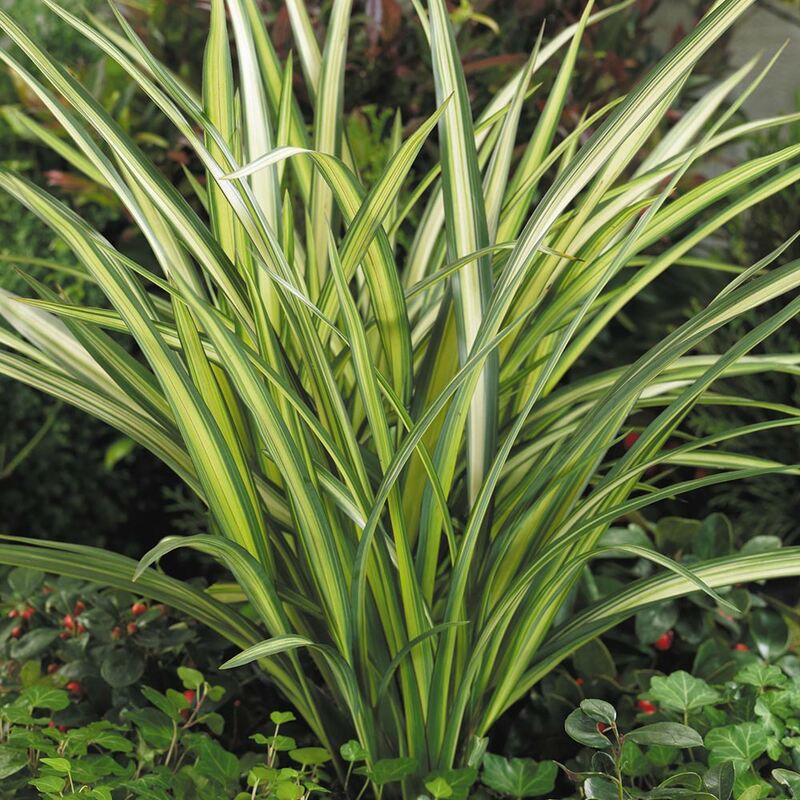 Phormium cookianum ssp hookeri 'Cream Delight' is the full name for this plant, it has a wide arching habit with mainly cream sword shaped leaves and dark green stripes at the edges. It is slow growing and will reach 2m in height. Large red tubular flowers are produced in 4/5 years. 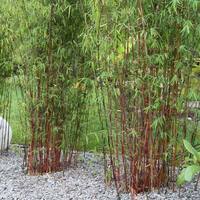 We would recommend you establish in a pot if you want to limit its spread. It will provide year round interest in a border, or on the patio.